He’s not changing doctrine or policy yet, but Pope Francis is at least making the Church acknowledge the complexities of modern life. This week’s working paper, released by the Synod on the Family taking place at the Vatican, is being hailed as an “earthquake” for the Roman Catholic Church. Hardly! It is only a tremor (albeit substantial), which may forewarn of a coming earthquake, or merely be relieving some of the tension that has been building over the past few decades. Pope Francis is certainly a breath of fresh air, and I, for one, rejoice in his style, tone and early pronouncements. I pray for him every day. His is a decidedly different persona from his immediate predecessors. His tone is deeply pastoral, kind, and merciful. But that is all it is: tone. Nothing has changed in terms of the teaching and policies of his Church. There is much in this document to be lauded. I love his notion that the family is a “school of humanity,” within which we learn what it means to love our neighbor as ourselves. I couldn’t agree more. This working paper begins with an introductory description of the family returning home each evening to share a common meal, even a glass of wine, as everyone rejoices in the presence of one another and collectively learns from the experiences of the day—a 1950’s idyllic notion that may have never been true, and an ideal only a group of elderly, celibate men who have never been part of such a family in their adult lives could posit in this 21st century world. But then, to its credit, the document goes on to describe real family life—beset by economic pressures, complicated by emotional and psychological realities, and just plain messy. With respect to homosexual people, there is a decidedly changed tone. No wonder gay and lesbian people feel like it’s a new day! No mention of sin here. 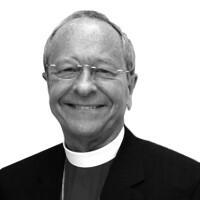 No reiteration of official Catholic policy and teaching that homosexual persons are “intrinsically disordered.” And most positive of all, there is mention that our unions may (emphasis added) contribute “gifts and qualities” beneficial to the Body of Christ and exhibit selfless giving, even to the point of sacrifice for the other. One wonders if Jesus’s question “Can a bad tree produce good fruit?” is being answered here? It is clear from the response to this working paper that it represents a major, possible change in how the Roman Catholic Church regards its homosexual members. Some Catholic leaders are calling for the Synod to be unceremoniously canceled despite it’s only being half-finished. Denunciations by conservative Catholic leaders must mean that the Synod is doing something right! Still, before we crown this working paper an “earthquake,” let’s look at the current reality. While the Synod says that the welfare of children is its highest priority, there is no admission of the pain caused by its teaching that homosexual persons are “intrinsically disordered”—either to young gay and lesbian Catholic children themselves, or to the children of partnered and/or married gay parents. The notion that there might be “fraternal space” (whatever that is!) within the Church for gay and lesbian members is posed as a question, not as a definitive statement. While there is no mention of homosexual “sin,” noting that there are “moral problems” with our relationships isn’t much better. Granted, our relationships may have moral issues, but sexual orientation is not one of them. Still, it’s a step forward to have the document refer to sexual orientation, rather than “preference,” as if it were merely a dinner entrée choice. We should celebrate this working document and its kinder, gentler attitude toward gay and lesbian people, those who may cohabit prior to marriage, and those who have been divorced and remarried, even contemplating communion for them. This document has Pope Francis’s pastoral hand and respectful spirit written all over it. He is to be admired for his kindness and genuine pastoral concern for all the members of his flock. But the Roman Catholic Church is a large ship to turn around on such matters, even with such a kindly and well-intentioned captain at the helm. He has to contend with much more conservative bishops, archbishops, and cardinals appointed by his two immediate predecessors. And like the President of the United States, he must work with an entrenched bureaucracy that was in place long before his arrival and will still be in place long after his departure. I suppose the thing I find most encouraging about this working paper is that, more than anything in the past, it seems to be acknowledging the complexity of human life. It implicitly admits that the reality of our lives and relationships cannot be neatly contained in tidy little boxes, with precise labels and ready judgments. It even intimates that the Church may have gotten some things wrong, as it has so many other times in the past. That alone would qualify as a serious, tectonic tremor. If it leads to real change, not just in tone, but also in doctrine and policy, it would indeed be an earthquake.